If there’s one core message that I have wanted to convey in this blog, it is that. Not just in the sense that there is politics that takes place over technology, but also in the sense that technology is a way to do politics. Let’s take an example from the news recently: Elon Musk has promised that Tesla will market partially autonomous vehicles in the United States as early as this summer. This is major political moment in addition to being a technological one. As this article points out, Musk’s plan opens up a lot of legal questions. There will be court cases about the political struggles over the legality of self-driving cars. The same thing happened during the early history of electricity: Proponents of alternating and direct current went to extraordinary measures to get support for their own system, even to the point of pushing the electric chair as a method of execution. There will be the huge questions about labour Uber has already made substantive plans to introduce self-driving cars into its service. Taxi drivers, truck drivers, and other people who are threatened by this, will also be watching this, for obvious reason, and will probably find themselves in some kind of legal or political struggle with Tesla and Uber before too long. There will be studies and counter-studies, and the question of whether or not Tesla’s cars are legal will become a referendum on the career prospects of everybody who drives a car for a living. The account I just gave isn’t very novel. There are others who have thought of all this before me. But it focuses too much on the single question of whether or not we should have self-driving vehicles? There’s no discussion of exactly what form the self-driving vehicles might take. That, it is assumed, is the business of engineers and other people working in large and impenetrable technology companies, who are ultimately accountable to capital. If you make this assumption, then it seems pretty obvious that self-driving cars will take a form, and be implemented in a way, that is most useful for private capital intersts, and most destructive for workers. What if, however, this was not the case? What if activists had just as much involvement in the development of technology as capitalists did, and could influence the actual form of new technologies to be more conducive to social, economic, and environmental justice? It would certainly change the discussion around self-driving cars. Rather than simply making it a yes-or-no debate, we might ask what degree of autonomy is acceptable. We might ask questions about who should own and control the self-driving units: Individual drivers, or scummy companies like Uber. We might ask what kinds of ethics your self-driving car should implement on your behalf. We don’t have these conversations right now because we assume that those who develop our technologies will always and only pay attention to the needs of their investors to turn a profit. Here’s the thing, though: Any company pushing a new kind of technology is already a bit like an activist group. No new technology fits into society perfectly, and often the people whose interests are aligned with that new technology have reason to try and make changes to laws, or social practices, or infrastructures in order to be successful. That’s why car lobbyists re-defined the street as a place for cars during the 1920s. It’s why Tesla has had to fight a bunch of legal battles, not just over self-driving cars, but over its business model. The first railroads could not be built without a revolution in British property law which allowed the government to force landowners to accept the fact that trains would be running across their land. This provides an opportunity for cooperation. Entrepreneurs pushing new technologies could use activists as allies, because activists can help them make the changes they need in order to better embed their technology into society. In return, the activists can make some demands about the form the technology will take, and the way it will be implemented. So here’s my proposal: Let’s have activist groups get involved with entrepreneurs, and entrepreneurs get involved with activist groups. For example, a coalition of environmentalists and labour unions could offer their support to Tesla in the upcoming fight over self-driving cars, but only if the cars are a) sustainable, and designed to be used in a way that minimizes vehicle-miles travelled; and b) licensed to companies that give a fair deal to cab drivers. This could be important for new start-ups, which are often desperate for publicity and support. If, say, Greenpeace started endorsing kickstarters for new technologies that promise to reduce our carbon footprints, it would be very good both for the people developing those technologies, and for Greenpeace’s goal. There’s a lot of vagueness in the model I’ve proposed. That’s intentional. I don’t run any activist groups, and there are people who are better qualified than me to turn this vague idea into a specific program. Either way, though, it’s better than how we do the politics of technology right now. Currently, when we see a new technology on the horizon whose implications we don’t like the best response we can muster is a resounding ‘no’. Unfortunately, that is only effective if anybody cares what we think. Often, they do not. Automation, to take the most frightening example, will be a big deal in the next few decades. No amount of protest is going to make the robots go away. It’s much better, then, to try and direct technological change, and *manage* form the robots, and other new technologies will take. To do that, we need to see technology not just as something that politics acts on, but as an act of politics in and of itself; just one part of the same tool-kit that is currently limited to petitions, marches, and the odd city council meeting. I found this while looking for a picture for this post, and I just couldn’t help myself. Created by Zort. Go upvote this design so that the good folks at Queertee will put it on a T-shirt! There’s a concept in my field of study called technological momentum. It’s a nice compromise between the overly simplistic positions that technology shapes society, or that society shapes technology. According to historian and theorist Thomas Hughes, technologies in their earliest stage of development are a bit like a ball that has just been nudged off a ledge: It’s only starting to speed up, and it’s comparatively easy to stop it or redirect it, as often happens. Technologies in a later stage of development, however, have begun to amass a collection of related technologies, infrastructures, policies, consumer habits, and cultural connections. They are like a ball at the bottom of a slope: It is moving much faster, and is thus much more difficult to stop or redirect, and can in fact knock into other things and move them around. What this means, in a nutshell, is that in the early history of an important technology, its development is influenced by society; while in the latter stages, society is influenced by the technology. This has interesting implications for techno-utopians like myself: If we want new technologies to be a force for good in the world, then we have to get at them early, when we have a better chance of influencing the form and path that they will eventually take. It means that activist groups wanting to use technology as a political strategy need to get out ahead of it, adopt it, and consciously shape it into something that can have a positive social influence once it gathers more momentum. Imagine, for example, what might have happened if the Luddites, rather than breaking the new industrial machines, instead adapted them for their own purposes could use so that they, rather than wealthy capitalists, could benefit from the increased productivity. It might not have been possible, but had they pulled it off, the last two centuries of history might be a lot less miserable. With that thought-experiment in mind, I’d like to turn your attention to the subject of cooperative grocery stores. Personally, I’m a big fan of them. I am an enthusiastic customer of Unicorn Grocery-a very middle-class organic grocery shop in my part of Manchester. It’s a bargain compared to most other organic grocers, and it’s generally a much more pleasant place to do one’s shopping than in a gigantic supermarket. Plus the produce is fantastic, and they’re the only place I’ve found where I can buy tempeh. Don’t worry: I haven’t been captured by Big Grocery Cooperative, and this is not going to be a 1000-word glowing review of an organic grocer in South-West Manchester. But I had to introduce them because I’m interested in here is the conspicuous lack of technology that has become nearly ubiquitous in British grocery stores: automated checkout machines. The phrase “automated checkout machine” might give you a bit of a shudder. 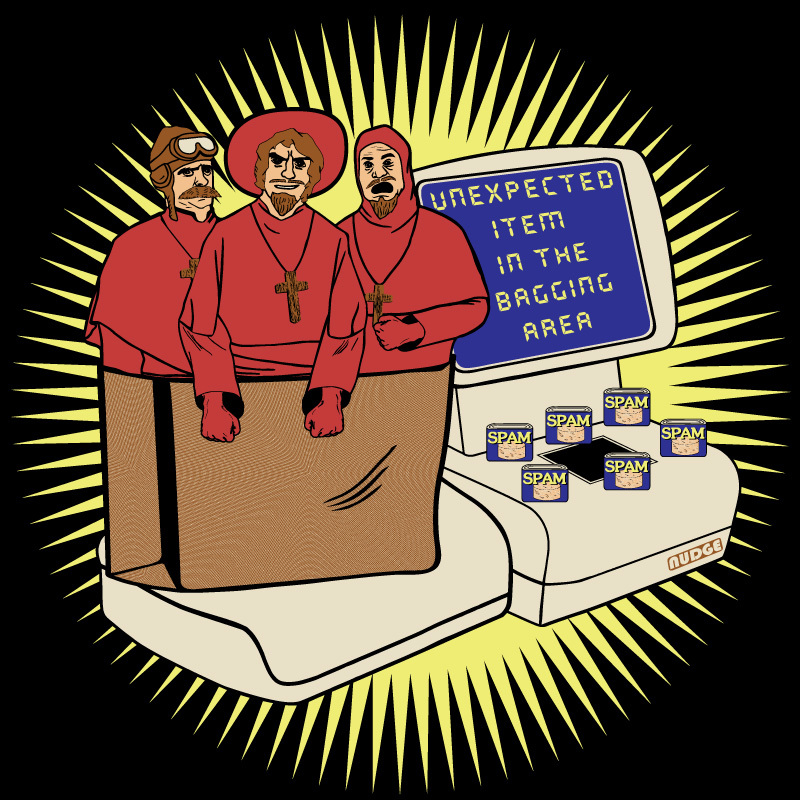 The machines are still pretty flawed, to the point that the sentence, “unexpected item in the bagging area” has become a minor internet meme. So I don’t really miss the presence of checkout robots at Unicorn. The opportunity to talk to a human cashier is generally worth the slight loss of convenience. And of course, eliminating jobs through automation doesn’t exactly fulfil the mandate of a worker’s cooperative very well. But sometimes when I’m waiting in the queue to pay for my groceries, I find myself wondering what Unicorn’s end-game is on this matter. The big supermarket chains, and indeed most businesses, are going to be pursuing more and more automation in the coming decades. Other businesses, such as fast food will probably follow. It’s not implausible that cashiers could be phased out altogether in some places. The rage-inducing problems with the checkout machines will eventually be ironed out, the machines will look more and more like a time and money saver, and less and less like a malfunctioning nuisance. Customers will adjust their habits accordingly, and come to expect to interact with a robot when they buy their groceries. They might even become uncomfortable with the idea of a human cashier. In other words: Automated checkouts are about to gain a whole lot more technological momentum. This prediction might make you uncomfortable. It makes me uncomfortable. But while it’s not guaranteed (I’ve never claimed to be a technological oracle), it’s definitely plausible. If it does come to pass, what will become of the grocery workers’ coops that have thus far eschewed automation? They might be able to hold on to enough of their old customers to stay in business. I personally don’t expect to be wooed away from Unicorn by automated checkout machines. A growing mass of consumers, however, who are becoming more and more more accustomed to the automated approach, will start to become more hesitant to use cooperative grocers. This will make it hard for the cooperative movement to grow, which would be fine if the goal of the movement was to establish a few sustainably and cooperatively run grocers in local neighbourhoods. Cooperatives, however, are often presented as a model for a kinder and more just economy, and this can only be the case if the movement expands its appeal. Can we expect that to happen if these businesses intentionally keep themselves behind the technological curve? There’s a pretty compelling counterargument to what I’ve just said, of course. What good will it be for the cooperative movement to gain the world but lose its soul? We can’t continue to see cooperatives as ethical businesses if they start firing their staff wholesale in order to embrace automation. My answer to this is that automation does not necessarily have to be a destroyer of livelihoods. That’s where technological momentum comes in. The people who have shaped automation technologies in the past have typically been aggressive capitalists, with no interest in the welfare of the workers that their technologies displace. But what if somebody else, with more of a conscience, took a more proactive role in deciding what automation looks like and how it is used? Could there be a different outcome? Suppose, for example, grocery workers’ cooperatives introduced a few automated checkout machines into their stores, but did not lay off any employees. Instead, with some workers freed up from the need to man the till, they could use the same number of employees to do less work. That means easier work for the same pay. The time savings, meanwhile, could attract more customers into the store, resulting in more dividends for the workers as well as a little extra boost for the cooperative movement. I’m not an economist, and I’ve never worked in a cooperative, much less managed one, so there are probably serious flaws in the plan I’ve proposed above. Coming up with a real, socially just plan for automation has to be a job for people with more business and technological expertise than me. What I’m saying is that it’s not a discussion we’re having, and that needs to change. The best business minds of the cooperative movement should be thinking about this question. Maybe I’m wrong, and automation is inherently bad for workers. If that’s the case, I’d like to see a detailed argument as to why. It’s actually quite a bizarre thing that our society is so skeptical of automation. If we lived in small communities based on local economies and cooperation, then any way to automate our daily tasks would be hailed as great news, heralding less work and more stuff. It is only because of the social and economic institution of employment, in particular the view that it is necessary as a precondition for survival, that makes us want the business of running our society to consume more person-hours, rather than less. If, as I have argued previously, the very idea of jobs is going obsolete, then we might be able, once again, to see automation as good news. We just have to find the right way to implement it. Automation isn’t going to go away. Too many powerful people are actively pursuing ways to eliminate more and more human workers for that to happen. If, however, we can find a way to make automation happen on our terms, then it could actually be good news. 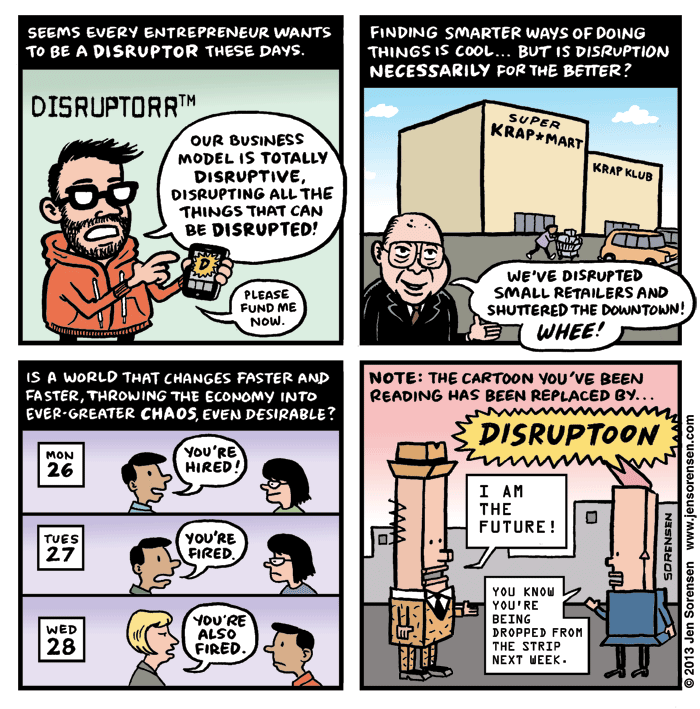 Some left-wing criticism of technological disruption. By Jen Sorensen, over at The Nib. It’s trendy among internet politicos to cast aspersions on the traditional left-right political spectrum. There is good reason for this. It is a huge oversimplification to suggest that one group of people that guns, fossil fuels, and CEOs while another entirely distinct group likes biodiversity, taxes, and abortions. One popular solution to this is the political compass, which brings the spectrum from 1-D into 2-D space, to incorporate both the liberal/conservative economic outlook, and the authoritarian/libertarian spectrum. So libertarians, for example, can be either conservative Randians or progressive anarchists. Some have further complicated this, by adding a third axis for social issues, such as cosmopolitanism versus nationalism. I am very sympathetic to criticisms of the left-right divide, and I enjoy efforts to refine the political spectrum into something with a bit more descriptive power. But critics of the spectrum are wrong, I think, to discount it altogether, because the left-right political spectrum can be a self-fulfilling prophecy. When you first figure out your political outlook, you are likely to look for people who agree with views you already have on certain issues. Having found them, you are then likely to also absorb their views on other issues, and believe them when they tell you that the people you disagree with on your favourite issues are also wrong about other things. Any political movement, furthermore, will make itself stronger by forming coalitions with other movements, even if the two have very little in common. That’s why we see free market economists teaming up with evangelical preachers, and environmentalists teaming up with LGBTQ groups. It pays to have friends. And so after a bit of consolidation, you can wind up with two big alliances of different interest groups. However valid the left-right political spectrum is, however, it’s interesting that it doesn’t seem to easily map onto the left-right political spectrum. Liberals, for example, can sometimes be surprisingly conservative about technological change if it threatens labour interests. Conservatives, meanwhile, can actually be quite liberal when it comes to supporting radical new technologies. So I’d like to propose that, in addition to the traditional left-right political distinction, we can also make a separate distinction on peoples’ enthusiasm towards technological change. In addition to liberals and conservatives, there are also futurists, people who want to keep the status quo, and neo-primitives. When you put this on one axis and political outlook on the other axis, you get six categories, each of which I think we see reflected in existing debates about technology. I’ve listed them below. My (very rough) sketch of a compass outlining the politics of technology. Techno-Utopians are left-wing and futurist. They believe that radical technological change can bring about a changed economic and social order that will benefit the underprivileged by democratising the means of production. Examples of these include some 3D printing and self-driving car enthusiasts. Liberal techno-conservatives are left-wing supporters of the status quo. They see new technologies as a threat to existing labour relations, but a threat which will harm workers more than managers, and they are therefore skeptical of new technologies. We have seen a lot of this view in recent criticisms of tech companies like Uber and Facebook, as well as the sharing economy. Liberal neo-primitivists believe that current technology has already gone too far, by creating a hostile and alienating industrial order. They don’t necessarily want to turn back the technological clock, but they are inspired by older technological systems, and often experiment with incorporating these into their lifestyles. Many environmentalists fit into this group, particularly the Deep Ecology and permaculture movements. Techno-Libertarians are conservatives who celebrate technology’s disruptive potential. They see new technologies as a way to escape the oversight of the state, and are often highly critical of government regulation of new technological systems. Boosters of things like Uber and Bitcoin often fit into this category, and this is the basic philosophy espoused in Atlas Shrugged. Neoliberal Techno-Conservatives support both the economic and technological status quo. They believe that existing technological and economic systems, working together, have brought great benefits for humanity, but not by overturning existing relations. Instead, they see moderate technological development as part of the proverbial tide that lifts all boats. They will often point to technological development as an example of what makes capitalist societies superior to socialist or communist ones. Most neoliberal think tanks take this view; here’s an example of this philosophy in action from the Cato Institute. Conservative neo-primitivists see some forms of technology as a morally corrupting influence. Like liberal neo-primitivists, they want to go back to a simpler time, but they want to do so in a way that largely keeps existing labour relations intact. Honestly, I can’t really think of very many good examples of this viewpoint. It might be embodied in some of the paranoia and social shaming around things like selfies, or it might simply be a view espoused by people who don’t use the internet very much. Some forms of survivalism might fit into this category. The most intriguing possibility is that it doesn’t actually exist very much in the real world, meaning that conservatives are actually very rarely conservative about technology. Comment if you have any ideas about this one! Exercises like this are always going to be clumsy oversimplifications, and what I’ve done here is no exception, as shown by some of the extremely awkward terminology I have used to describe the different philosophies. But for better or worse, the way most people talk about political differences is based on the political spectrum. That means that if you want to politicize something, you will eventually have to locate it on that spectrum in order to situate the discussion. Since I think that our political discourse about technology is underdeveloped, this seemed like a worthwhile bit of speculation. We need to find better ways to map out the state of the political argument about technology if we want that argument to be more productive. CEOs are being explicitly compared to comic book characters. So it’s probably safe to say that we live in a period of technological enthusiasm. We’re living in a period in which what might be called “moonshot thinking”, or a general enthusiasm for new futuristic technologies, is very popular. In the last few years, we have seen Google promise both artificial intelligence and radically expanded human life-spans, we have seen proposals for asteroid mining , and we now have a list of 100 finalists to be the first human residents of Mars. If you asked anybody who pays attention to this stuff to name one person they would most associate with it, they almost certainly mention Elon Musk. A few others, such as Eric Schmidt, Jeff Bezos, and (shudder) Mark Zuckerberg might be mentioned, but it’s hard to ignore the sheer number of ambitious projects Musk has proposed and is currently working on. The guy is a kind of a big deal. Tempting though it may be, we need to be careful not to fawn too much over people like Musk. First of all, because Musk’s perception as a selfless innovator who is interested in technical challenges and public service, is probably at least partly a PR creation. I’m inclined to believe that Musk probably is a decent human being, but we should still remember that he is a powerful billionaire, and therefore any discussion of him comes with a duty to be critical. Musk didn’t get to where he is by not earning a profit, after all. The other thing we have to keep in mind is that Musk didn’t get where he is without help. Tesla employs 10,000 people. 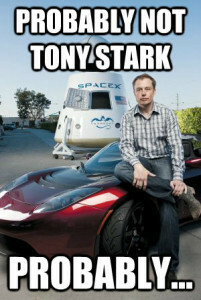 SpaceX employs around 3,000. SolarCity employs more than 6,000 more. And many of those people are doing the hard research and design work for which Musk soaks up a lot of the credit. Musk is still almost certainly a clever guy, but the development of new technologies has been a large-scale team effort since at least Henry Ford and Thomas Edison. But people like Musk, Schmidt, Ford, and Edison are still a fascinating element of technological culture, because of the enthusiasm they seem to be able to generate for their ideas. If I proposed the hyperloop, nobody would listen and I would probably lose some professional credibility. But because Elon Musk has a reputation for building cool stuff, he can make international news by publishing a 58 page report on the same idea. And the tech media covers virtually everything he says. Why is this the case? One obvious answer is that, as I argued at the top of the page, we are in an era where moonshot thinking predominates, and as the progenitor of a bunch of moonshot projects, Musk is somebody who people want to pay attention to. But just as an experiment, let’s consider it the other way around. What if people like Musk (rather than merely the things they create) are the reason that we are currently so convinced that our immediate future looks like a science fiction movie. At first glance, this theory goes against everything that science and technology scholars have been saying for the last few decades. Technology, they tell us, is not created by heroic individuals. Some trace the myth of the lone inventor to an obscure Victorian dispute about patent law. Scientists have long acknowledged that they see far by standing on the shoulders of giants, and it is probably time that engineers, inventors, and entrepreneurs be willing to make the same admission. Tesla would be nowhere, for example, without the hard work of thousands of people working over the past few decades on better batteries for laptops and smartphones, to say nothing of the legions of people who mine the raw materials for these things, manufacture them, transport them, and sell them. But what if we look beyond the technology itself, and pay a bit more attention to its public context and popular support? Could prominent, charismatic, and fascinating individuals make us more likely to give our endorsement to new technological ideas that would otherwise sound crazy? I think it’s plausible, mainly because we, as a species, seem to love colourful personalities. That’s why it makes national news when Kanye West interrupts Taylor Swift. It’s why celebrities are paid exorbitant sums to endorse products. It’s why most history is understood in terms of big political and cultural personalities, form Louis Armstrong to Winston Churchill. And it’s why websites like Perez Hilton exist. We like to embody our ideas about the world in the form of people. That’s why we remember most of the big technological changes of the past by remembering the people who embodied them. Cars are represented by Henry Ford. Electrical infrastructure is represented by Thomas Edison. Computers are represented by Steve Jobs and Bill Gates. And so on. We find it much harder to relate to technology, which at the end of the day is a thing, than we do relating to people. So, according to the hypothesis I’m developing here, sometimes an inventor or entrepreneur catches the public eye for one reason or another. By either an accident or a conscious effort, they cultivate their public image until they have a substantial media following. This becomes a major business asset, allowing them to generate major publicity for virtually any new idea they have. Because of their past successes, the public and media establishment are willing to consider proposals from them that they would reject out of hand if they were voiced by anybody less prominent. The result of this media coverage is that these ideas get financial and political support, as well as motivating research on the idea and perhaps an early market niche from technological enthusiasts. This in turn makes the success of the idea more viable. The result is that people like Elon Musk can serve as standard bearers, playing a big role in shaping future technology regardless of their role in actually developing it. While I would like to do some detailed research on this idea one day, it remains just a hypothesis at this stage. But as a hypothesis, it has some interesting and important implications. Most important, perhaps, is that it suggests that prominent entrepreneurs and inventors can be extremely powerful people. Politicians come and go and most powerful business leaders are restricted by regulations and market forces. But if people like Elon Musk truly do have this kind of influence over the direction of technological development, then it could be that a small handful of people, most of whom are white men, have a very large role to play in shaping the future of human societies. It’s hard to vote down a transportation system that already has infrastructure in place, regardless of whether your votes come in the form of ballots or dollars. That means that we need to be very critical of these kinds of people and the ideas they propose. We need to really get to grips with their motivations, and be willing to think seriously not just about the viability of their proposals, but also about their long-term social, political, economic, and environmental effects. But the news isn’t all bad. The power of technological standard bearers can also be a force for good, if we find ways to influence the kinds of people who we give this technological credibility to. We need big technological changes to solve a whole host of very scary social, economic and environmental problems, and if it is possible for one prominent person to play a big role in pushing those kinds of changes, then so much the better. We should, of course, fight the tendency to put people on pedestals. But maybe there is a role for social activists in helping societies think critically about the people to whom they give technological power. And maybe if we can help boost the public exposure of the right kinds of people, then we can help push the kinds of technological change that will make the world a better place rather than a worse one. It turns out that if you want to live off-grid in some parts of the United States, the various technological obstacles are the least of your worries. The state of Florida has recently made it illegal to have a house that is not connected to the electrical and water grids. This is somewhat surprising from the United States, where one might think that the nation’s pioneer mythology would stand in the way of this kind of interference, at least at a political level. 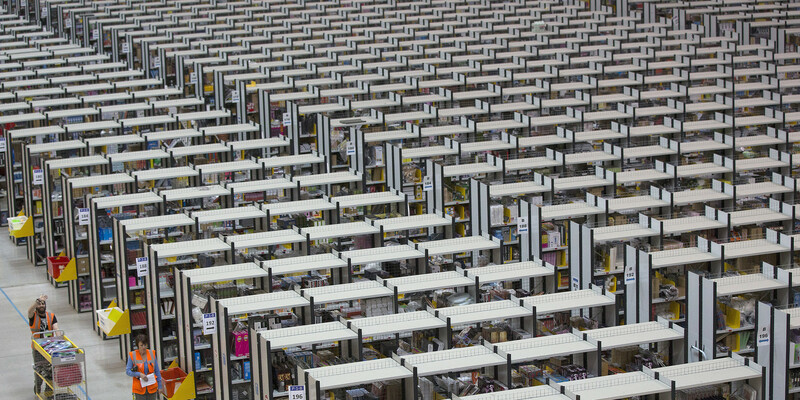 All your Amazon stuff comes from this massive warehouse, where it turns out the workers aren’t actually treated that well. But perhaps that’s naive. It turns out that The State in the USA has a bit of a history of going after modern-day pioneers. Last year, a commune in Texas was raided by federal agents. After several weeks of legal harassment, its residents woke up one day to find men in tactical gear storming the property. They were all shortly handcuffed while the premises was searched, and one of them was carted off to jail for an unpaid traffic ticket. These kinds of radical experimental communities have always been vulnerable; their position outside cultural norms and the dominant socio-technical regime make them an easy target for any state actors who decide they don’t like them. Stuff like this just goes to illustrate that the socio-technical regime can sometimes be embodied in very draconian ways. Meanwhile, in San Francisco, Facebook’s bus drivers are trying to unionise. Facebook, like many tech giants in the Bay Area, employs luxurious shuttle buses to carry its employees to and from its corporate campus. But apparently they don’t treat their drivers very well-one man interviewed for the story says that he works absurd hours for less than a living wage. Similarly, Amazon has recently come under fire for forcing its warehouse staff to stand in a metal detector queue at the end of the day-after they have clocked out-to make sure that they are not stealing any goods from the warehouse. I can understand the concern about theft, but employees being kept from going home should be paid. If you’re more interested in the labour issues connected to e-commerce, check out this Mother Jones expose on the subject. It can sometimes be tempting to see tech companies as existing purely in the digital sphere, as if Facebook and Amazon are composed of nothing but circuitry and a couple hundred pampered programmers. But even digital businesses-especially ones like Amazon-need physical infrastructure, and that means they will be employing low-level workers. We shouldn’t allow our perceptions of these companies to stop us from holding them accountable for their treatment of the people that drive their buses and run their warehouses. Unions might seem old-fashioned compared to the cutting edge stuff that goes on at these companies, but cases like these make it clear that they are as badly needed in the twentieth century as they were in the nineteenth. “Driverless cars could turn out to be a scourge on humanity. They may lead to a worldwide surge in binge drinking since drunk driving would no longer be a worry. They also could be vulnerable to hacking by terrorists who send every self-driving vehicles in the western U.S. plunging into the Grand Canyon. They also cite the potential for self-driving cars to eliminate jobs (something I’ve addressed here) , though they also apparently admit that self-driving cars could reduce the number of car accidents. I’m going to criticize the freaks’ approach to the issue, but I want to make clear at the outset that I don’t mean for a second to suggest that their predictions are implausible. They could be right. While the terrorism thing seems a little bit far-fetched, the result of this technology could be a world full of long-distance commuters in self-driving vehicles. This would contribute to vastly expanded urban sprawl, congestion, pollution, climate change, and oil resource exploitation. That is a plausible scenario, and it is a bad one. Despite this, however, I think that the freaks’ logic is badly misguided. To illustrate why, it helps to point out that at the turn of the twentieth century, one of the most common destinations proposed that somebody would drive to with the newly invented automobile was the railway station. Cars, it was assumed, were mainly for local transportation or transportation through areas too remote to have their own rail lines. But if you wanted to go to a big city, then the train was your best bet. What this illustrates is that people always understand new technologies in terms of old ways of doing things. Historically, very few people have been able to accurately grasp the real implications of a radical new technology at such an early stage. That’s like trying to predict what the political landscape will look like in fifty years: It’s simply too complicated to accurately assess in advance. The best you can do is a lucky guess. Julie was tempted to buy a car. That was, after all, what you were supposed to do when you got your first salaried job, and she did need to commute 20 miles every day to the office where she worked. But the autonomous taxi service that she had been using for the past year already served that purpose just fine. It meant that she didn’t have to drive or maintain a car. And the self-driving taxis were cheaper to boot. She decided she would rather spend the extra money on travel. A huge part of the price of a taxi ride is the labour. That makes perfect sense, as taxi drivers need to make ends meet. But when you take the driver out of the picture, then suddenly taxis become a whole lot cheaper. This is especially the case if the self-driving taxis are electric, which will save considerably on fuel costs. I don’t pretend to know exactly what the price per mile of a self-driving taxi in the year 2040 will be, but it is plausible that it will be cheaper for the average person to rely on them than drive their own car. Self-driving taxis will be used far more efficiently than private cars could be; will be maintained by efficient, cost-optimizing businesses, and won’t have to pay for downtown parking. This could start to make car ownership far less compulsory, even for those of us who live in the farthest-flung suburbs. Even if reliance on a self-driving cab is slightly more expensive than owning a car, it could still be a very attractive option due to the added convenience. And that means fewer cars on the roads. “Alright, Andrew. We’re done predrinking. It’s time to go to the bar. I’m calling a cab”, said Stephen. “Ugh. A cab? Do we have to? I’m kind of broke, and that’ll cost me like two beers”, replied Andrew. “It’s only three blocks away. We can make that in like half an hour”. People who own cars tend to use them. Once you’ve paid the very substantial cost of a car, the marginal cost to use it to drive half a mile to the store becomes insignificant. So even if driving to the store is on balance a more expensive way of getting there than walking; this doesn’t translate into any direct perception of expense by the person deciding to drive to the store. If, on the other hand, people rely on self-driving taxis, then the marginal cost of driving to the store suddenly goes up. Even with the vastly decreased price of a trip compared to a normal taxi, the fact still remains that the traveler has to pay upfront. And that means that many people will look to save money by walking or cycling for shorter trips. That means fewer cars on the road in total. The ultimate outcome of these trends could be fewer cars on the street, more efficient use of the cars that remain on the street, and more electric cars. That would also mean more use of active transportation; more incentive to build high-density, walkable cities, and a more sustainable transportation system in general. As soon as you start to reduce the rate of car ownership, you reduce the incentives for car use. The neat thing about self-driving cars is that they allow a reduction in car ownership while allowing the same rate of car use to be maintained, at least temporarily. That makes them an ideal lever for changing the makeup of our transportation system and our cities, in addition to their recognized benefits in reducing drunk driving and accidents, and offering more travel options for the disabled. Of course, my scenario is just as uncertain as the one proposed by the Freakonomics guys. Most likely, the way this will actually play out is completely different from either of our predictions. But my scenario suggests a few takeaway lessons. Firstly, it illustrates the value of a transitions perspective, which uniquely takes into account the complex ways that new technologies can interact with society. Secondly, it suggests a program for action. We can, to some extent, control the way that self-driving cars are introduced, through government policies and social advocacy. Self-driving cars could be good or bad in the end, but for the moment they’re an opportunity to change our transportation system. And we should think about how to take advantage of that. The video promotes solar (freaking) roadways: octagonal road tiles topped with frosted glass that not only generate power, but can also use it to light up in different patterns to direct traffic, heat themselves up to melt snow, and communicate with each other to detect the presence of obstructions on the road. The technology is also proposed as a way or revolutionising outdoor public spaces such as parks and squares by allowing them to instantly transform themselves into basketball courts, children’s play areas, or anything else. Solar roadways are a very intuitive concept. Solar power installations require a lot of space, while roads take up a lot of space, so why not combined the two? But the couple developing the technology have apparently gone way beyond this simple intuition. Not only have they built a prototype solar parking lot near their house, but they also have a lengthy FAQ on their website that answers a lot of pretty important and detailed technical questions. They’ve considered everything from traction to earthquake damage to what happens if people start stealing the tiles. They also have a very viable plan for expansion of the technology: They will start with parking lots, driveways and sidewalks before moving on to harder stuff like highways. And something definitely has to be said for their recent promotional efforts. The video seems destined to go viral, while the various images they have on their website seem like some pretty effective and attractive future visions. And above all that, they apparently have the backing of both Google and the Department of Highways . So that’s nice for them. That being said, there is one gigantic red flag in both the videos and the website. They haven’t made any effort to price the technology. Not even a ballpark estimate. I can understand why this is the case. The technology is still at a very early phase of development, and they haven’t really had a chance to figure out the realistic production costs of the panels. But the entire premise of solar roadways seems to be that they can allow roads to pay for themselves by producing solar power-a promise which depends pretty heavily on whether the power generated by the panels over their average lifetime will be sufficient to pay for their production and replacement. So the cost question needs an answer, and quickly. Of course, there are ways that the panels could be made a good deal cheaper. Maybe they can eventually be 3D printed. And it maybe by self-driving automated road maintenance robots could replace them. And maybe broken ones can be repaired in some centralized facility to keep replacement costs down. All of these seem like plausible ways that this system could in fact be affordable. But they are mere possibilities at this stage, and so we shouldn’t rely on them. One of the proposals for this technology that I don’t like is snow clearing. The idea is that in the winter, heating elements installed in the tiles would maintain a temperature just warm enough to stop snow from collecting on the road, and that would mean no need to shovel snow. It sounds great, but some problems emerge as soon as you start to run the numbers. The website, to its credit, acknowledges that solar roadways would have to take power from the grid to melt snow. After doing a bit of math and wikipedia research, I was able to figure out that for a 3.7 meter wide highway lane, a one centimeter snowfall would require at least 85 megawatt-hours to melt. In Ontario, that would cost between $6000 and $11000. If the power came from natural gas, it would release 37 tons of CO2 into the atmosphere. If it came from coal, it would release 85 tons. And remember that this is just for one kilometer of road, with a measly one centimeter of snow. The financial and environmental costs of keeping the road clean all winter would be immense. So I’m not sure how suitable this technology would really be for some places. The snow-melting proposal doesn’t seem viable to me, and I don’t expect that solar roadways would do much good in, say, Manchester, where it’s always raining. You need sun to make solar panels work, even if those solar panels are cleverly integrated into roads. There’s one other concern I have about this technology that I haven’t seen mentioned yet: surveillance. If the panels have pressure sensors in them, ostensibly to detect obstructions in the road, then it would be trivial to determine the mass of somebody’s car and use that information to track their movements. This would be handy in catching criminals or tracking stolen vehicles, of course, but I can think of a lot more nefarious uses for that capability and I don’t trust organisations like the NSA to avoid putting them into practice. To conclude, then, I’m calling this project distinctly plausible. It has some interesting potential uses, a working prototype, a pretty good public relations campaign, and the backing of some big players. If these are rolled out strategically, starting with private driveways and then moving to public sidewalks and basketball courts and finally on to roads, then solar roadways could become a thing. And while I think the case for solar roadways is somewhat overstated (which is itself a strategic move), and there are issues with the costs of snow melting and surveillance, they do seem like a good idea on balance. So keep an eye on this, and maybe even go donate to their indiegogo campaign. On the left: G. Frederick Keller’s depiction of the railway monopoly in California, 1882. 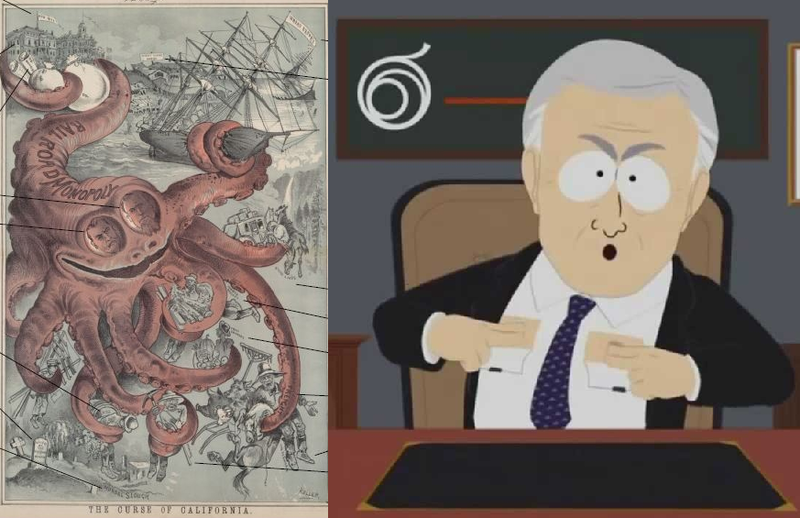 On the right: South Park’s depiction of the cable monopoly, 2013. Comedic style has changed, but the basic complaint about infrastructure monopolies is timeless. Right now, the American Federal Communications Commission is considering new rules that would essentially destroy net neutrality by allowing Internet Service Providers to give preference to the data from companies that pay a premium rate. In practice, this means that that companies like Comcast and Time Warner (who, incidentally, are about to have a merger) would be able to make the internet look a little bit more like a cable TV network, where whoever has the deepest pockets gets the greatest access to an audience. Big corporate websites will pay for the fast-lane, meaning that their websites will load almost instantly, at the expense of smaller startups, nonprofits, and personal websites, which would have to be content with whatever bandwidth is left over. Companies like Netflix, which competes with the ISPs’ cable TV services, could also suffer. Netflix, in fact, already has. This touches at least three important political issues that I can think of. Firstly, business and innovation: The erosion of net neutrality will reduce the revolutionary potential of the internet by allowing entrenched interests to curb the threat it poses. Second, free speech: Most political speech today happens via the internet, and this could take a big hit if corporate interests start to limit bandwidth to parties who are critical of them. Third, social justice. A huge amount of interpersonal communication today happens via services like facebook, twitter and instagram, and if these suddenly see their traffic curtailed, or are forced to charge fees for a premium, faster service, then it will hurt the ability of marginalized classes to make their voices heard. We have seen all this before, and not just in debates over the internet. The current rage against the monopolistic ISPs in the United States is virtually identical to the rage that was directed against utilities providing gas, electricity and railway travel as early as the nineteenth century. Before that, people raged against private turnpike operators. This kind of rage actually played a big role in the switch to a car-dominated transport system. The railways were seen as monopolistic, and so they were saddled with restrictive regulations that made it hard for them to compete with motor vehicles, which were far more flexible. To solve this, governments often regulate these industries. But regulation has its pitfalls. It can be too stringent, in which case the old infrastructure is hobbled when a new competitor comes along. Or lobbying can make it too lax, so that profiteering happens anyway. The internet is already regulated, such as by the FCC in the United States, but the constant attacks on net neutrality seem to suggest that this is not a good long-term option. This problem isn’t limited to the United States, either. If net neutrality falls in the USA, then expect the internet companies to try and lobby for similar changes in other countries. The recent development of Google Fiber suggests an alternative solution: Competition against entrenched commercial interests through the development of new technology. People like Google Fiber because it is breaking up the ISP monopoly. But this only kicks the problem down the road. Can you assume that Google won’t adopt Comcast’s practices once they dominate the internet service market? No, you probably can’t. Others have suggested taking the infrastructure into their own hands, through what has been called the DarkNetPlan, and maybe in Google’s Project Loon, depending on how you interpret it. But this is likely to be far less efficient than a dedicated infrastructure built by a centralized provider, and at this moment the technology is very uncertain. It’s an interesting idea to work towards, for sure, but we shouldn’t count on it. So maybe we need to look back at the solutions that have already been used in many places to avoid the monopolies of the railways and the electricity companies. What if we saw the internet not as a private for-profit business like cable TV, but instead more like roads: a public resource essential for society to function effectively in the twenty-first century? In today’s connected society, the internet is probably at least as important as roads. It has become crucial for everything from business to education to health. So why, then, should we be content to make exploitative private companies responsible for the internet? An alternative would be to make the internet a truly public service, run by a government corporation responsible not to its shareholders but to the electorate. Such a company could still break even or even turn a profit, but would have far less temptation to gouge the public or mount attacks on net neutrality. This would ensure that our connectivity is secure, and that it can be taken advantage of by everybody. At the very least, people in very remote areas, where internet currently costs a fortune, would probably appreciate the pooling of resources. This plan is not without its problems. A public corporation might be more vulnerable to spying by groups like the NSA, for example, although the current corporate internet seems to offer little help on that front. And even the utopian project of a ground-up, distributed internet could probably be hacked in one way or another So do we really have very much to lose on this front? Another problem lies in the ability of a public internet company to take advantage of the latest in technology such as Google Fiber. But such a company would be responsible to politicians who are ultimately responsible to the electorate, the rolling out of high-speed internet nationwide could be a very popular campaign promise. Public utilities are not a perfect solution, but they do provide probably the best solution to providing socially just infrastructure that we have discovered yet. If infrastructure companies are beholden first and foremost to their shareholders, as ISPs currently are, then the outcome will always be monopolism and abuse. So we need to find ways to make them accountable primarily to their users and to wider society. This means that perhaps they should be more than a common carrier. Maybe they should simply be a public good. 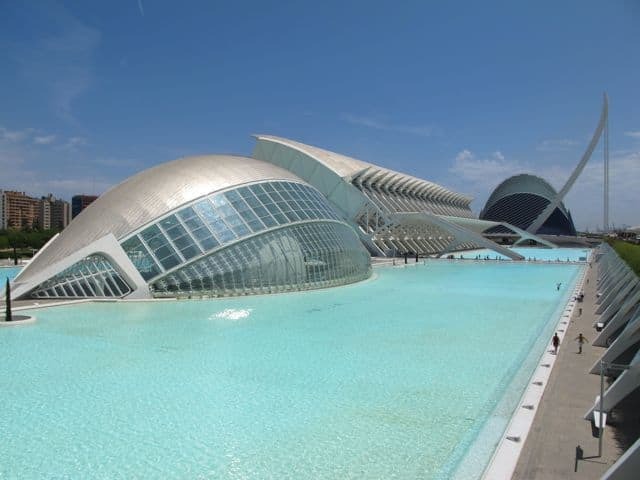 Valencia’s City of Arts and Sciences; a very striking feature of the city where the conference was held. The architecture is stunning, but public engagement with science requires more than expensive buildings. Last week, I attended an early career researcher conference in Valencia, Spain. As an historian, I was a bit of an odd duck in a conference fairly dominated by more quantitative methods, but that’s a discussion for another time. Today, I want to address a much more pertinent issue that came up in a roundtable discussion. The roundtable featured four speakers from academia, industry, policy, and politics, who discussed the relationship between our academic discipline and the real world of innovation and innovation policy that exists in business, policy, and politics. The discussion started out pretty tame. The representatives from the academic, business, and policy spheres each had interesting things to say. To me, the most obvious theme to all their talks was that academics in innovation studies are still in a bit of an ivory tower. There are, apparently very few ways for academic ideas to find their way into business or policy practices. People working in business or policy rarely read academic journals, and while some of these people may have postgraduate training, the theoretical knowledge gained from this is not always relevant to their day-to-day work. These ideas however, they were somewhat overshadowed by the speech delivered by David Hammerstein, a Green Party activist who was invited to represent the political sphere. Hammerstein wasn’t kidding when he warned that his talk would be a little bit confrontational. His speech aggressively criticized what he perceives as the blindness of scientists and other researchers to their social context, and used some very choice words to describe some of his least favourite research policies. Among his targets were the European Union’s experimental fusion reactor, and the common practice of private companies to turn the findings of publicly funded research into proprietary corporate secrets. The general thrust of his talk was that scientific and technological research needs to be better attuned to matters of genuine public interest, and that we PhD students need to promote public debate about scientific and technological issues. I think that Hammerstein had a point. The social, political, economic, cultural, and environmental influence of scientific and technological research today is massive. And yet far too often, scientists and engineers are assumed to function in a sterile, apolitical world where they are servants only to objective natural truths and (maybe) economic incentives. It will not do for either the public or the scientists themselves to go on believing this. Science and technology are as political as anything else, not least because scientists and engineers are human beings with political opinions. As long as new technologies have the potential to bring about radical social changes, the public will have a stake in what kind of research is done, and how it is applied. There are a few promising developments which might help the public realize that stake. Crowdfunding of both technology and science are fairly promising, as is the precendent set by Neil Degrasse Tyson’s Penny4NASA campaign”. But for the public to constructively engage with science and technology, they need to be able to critically evaluate science and technology. The good news here is that this critical engagement has been going on since at least the 1960s in at least three academic fields. History of Science and Technology has a tradition of considering scientific and technological achievements in light of their social context, Science and Technology Studies critically considers the links between science, technology and society and Innovation Studies attempts to describe the circumstances under which new technologies and practices are created. The bad news is that the public remains mostly ignorant about all three of these disciplines. It isn’t enough for a handful of academics to be discussing these things at conferences. The material complexity of the modern world demands that the public engage with these ideas as well. And so I believe that it’s time for scholars in all three fields to start popularizing their work. In the fifty-odd years since their creation, all three of these disciplines have matured considerably and have made some impressive findings. The time is now ripe to diffuse that work more publicly. We need televised documentaries about the history of science and technology that explicitly link scientific and technological developments to their social contexts, rather than depicting great men of science. We need scholars active in science and technology studies to start writing science fiction which incorporates their ideas. We need innovation theorists to get involved in the discussion every time a politician tries to use words like “innovation” or “excellence” in soundbytes. And we need to bring all this research to bear on crucial societal problems such as climate change and medical research. This is much easier said than done. If, as the roundtable pointed out, academic ideas have so little traction in policy and business, then the task of popularizing them among lay audiences will be extremely difficult. It will take some very clever people to take the arcane, academic jargon of these three fields and translate it into something that will interest the public. But the task is absolutely essential. If we are going to have more informed debates about scientific issues such as climate change and vaccination, or about technological ones such as pharmaceutical development and fusion power, then we need to make academic research about these things accessible to the public. Hopefully this blog can be a small part of that effort.